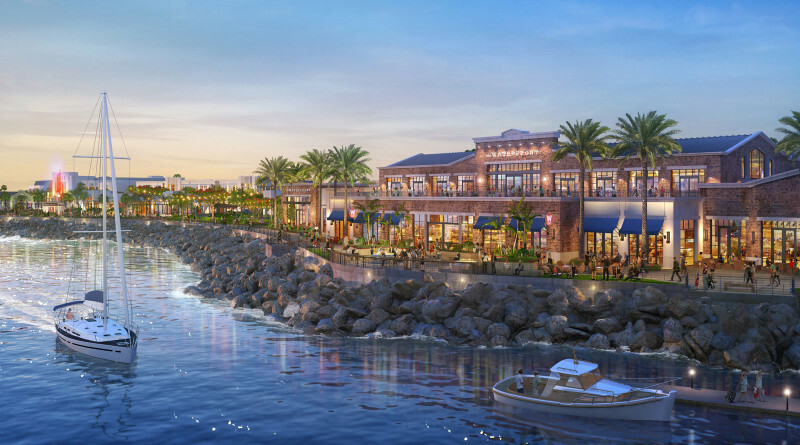 CenterCal’s proposed redevelopment of Redondo Beach Harbor includes a launch ramp for vessels, restaurants and a boutique hotel. Boat launch ramp location continues to be a major issue; major vote could be held on July 18. REDONDO BEACH — A revitalized Redondo Beach Harbor could be realized one day but as of right now the vetting process continues as city officials, the developer and local stakeholders are still deciding how best to move forward with the proposed project. A series of public hearings and document review sessions have either been held or scheduled in hopes City Hall and the public can come to terms of what elements work best for a revitalized harbor. Redondo Beach’s Harbor Commission already held two public hearings on the CenterCal proposal. Some of the revitalization’s elements, such as rebuilding the pier and creating ocean view corridors, were discussed at the first hearing held on June 13. Commissioners tackled the Environmental Impact Report (EIR) on June 27. A third and final hearing is set for July 18 at 6:30 p.m. City staff stated the Harbor Commission would deliberate the project and likely vote on whether – and how – to move forward with the proposed revitalization. The three hearings followed the publication of a 6,500-page draft EIR late last year and a handful of public meetings where city staff received input on many of the project’s elements. Some topics are still up for discussion, such as the location of the boat launch ramp. At the heart of the debate is whether to place the boat launch ramp at Mole B or elsewhere. Boaters are reportedly opposed to a boat launch ramp at Mole B, which is located at King Harbor Marina and in the main channel. One potential issue with Mole B is boaters could be subject to Harbor Patrol traffic as the law enforcement agency is located there. At least one advocacy group – Rescue Our Waterfront – is campaigning for a boat launch ramp at Mole D.
A July 2015 project memorandum included in the city’s Draft EIR said build a boat launch ramp anywhere in Redondo Beach Harbor would be cramped for space. “Because of available parcel size limitations and the extent of existing development within King Harbor, a new [boat launch ramp] will be limited to a one- or two-lane launch ramp that can park only 20 to 40 vehicles with trailers,” the memorandum by Noble Consultants stated. CenterCal’s proposal must earn approvals from the Harbor Commission, City Council and California Coastal Commission before moving forward with plans. More than 1,400 recreational boats are berthed in the harbor’s three marina basins. In separate but related news Redondo Beach Planning Commissioner Marc Mitchell is reportedly under investigation by the Fair Political Practices Commission for allegedly failing to report a connection to CenterCal’s public relations firm. This project has not been planned with people who would like to enjoy the harbor. This would be a structural and planning monstrosity It’s apparent to me that the city is selling the residents and the southbay short. Shame on the mayor and the city council. Can you say “Recall”!